Here's our first swimming Team photo sent in by Derek Joynson. 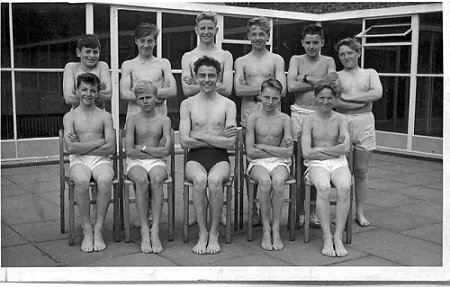 This is the school team that swam in Chester baths in 1961/1962 in the Cheshire Boys Championships .They did quite well considering they trained in the Guinea Gap pool Seacombe which was salt water and quite different to fresh water. Mr Phimister was their Manager. 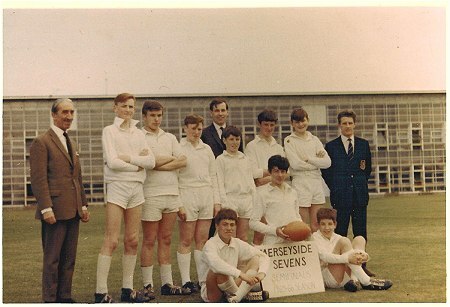 Thanks to one of our Teachers, Mr Colin Whitehead for sending in this picture of the St.Georges Merseyside Sevens squad season 1965-1966. Rod Hill Colin Griffiths ? Colin Whitehead ? Pete Hickmott ? ? St Georges Cricket team sent in by Derek Hardy. Leslie Bradshaw is the only one identified at the moment. Here's another photograph sent in by Colin Whitehead of the 1stYear Rugby XV Season 1966 - 1967. 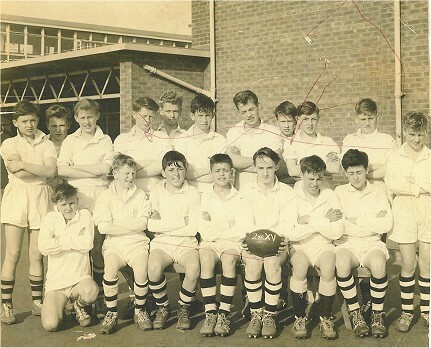 Here's another photograph sent in by Colin Whitehead of the 2nd Year Rugby XV Season 1966 - 1967. 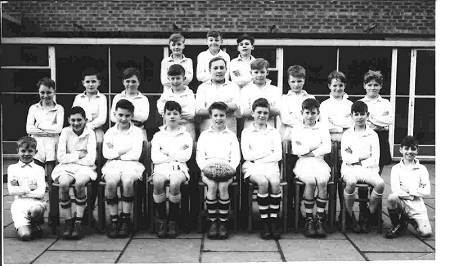 Here's another photograph sent in by Colin Whitehead of the 3rd Year Rugby XV Season 1966 - 1967. Thanks to Derek Hardy for the photograph and Terry Webster who remembered all the names. 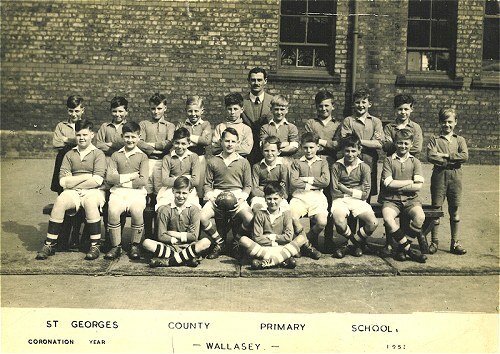 Terry is sitting front left and recalls the photograph was taken at old Wallasey Grammar Withens Lane. St Georges was the only Secondary Modern School playing rugby at the time. Terry remembers the first day at St Georges when they had rugby practice. Bill Davies lined them all up tallest to smallest. Being the smallest, Terry was elected as scrum half, a position he has played for over 30 years ! Much to the amazement of Bill the team won their first game against St Anselmians which was unheard of in those days. Terry is still involved with Wallasey and New Brighton rugby clubs. 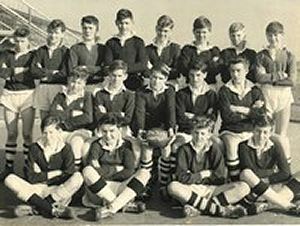 The Rugby team circa 1961. Sent in by Derek Hardy.